The $10 billion Melbourne to Brisbane inland rail project is expected to transform regional industrial areas in Queensland, New South Wales and Victoria. In an analysis of the Melbourne -- Brisbane inland rail project, Colliers International identified key benefits for the industrial property market. Colliers' Malcom Tyson said the regions which are most likely to benefit from the completion of the Inland Rail are Darling Downs, Acacia Ridge and Bromelton in Queensland, Tottenham in Victoria and Parkes in New South Wales. 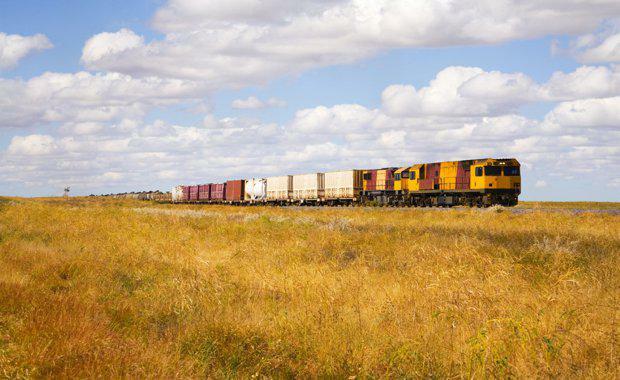 “We are likely to see increased activity along the Inland Rail route from the inter-capital freight users such as Linfox, CEVA Logistics, Toll Holdings, DB Schenker, DHL, Woolworths, Coles, GrainCorp, Bluescope and Visy," he said. Tyson indicated that providers of intermodal transport and logistic hubs and industrial estates may also emerge to cater for the increased demand and relocation requirements from these users. Colliers International's Matthew Frazer-Ryan pointed out the positive correlation between new infrastructure projects and associated uplift in industrial land value in a region. “The importance of these projects to improve accessibility of freight to the area is also likely to positively impact on the potential rental value of the industrial property in the region," he said. “Equivalently in Sydney, the Westlink M7 Motorway construction (between 2003 and 2005, opened to traffic in 2005) saw average annual land value growth in the M7 catchment area (suburbs of Blacktown, Moorebank, Smithfield, and Wetherill Park) of around 22 per cent over the three-year period," he said. As a result, we would anticipate that as firms begin to look to these middle suburban ring and outer regional areas supported by the completion of the Inland Rail, stronger demand should lead to increasing land values and overall industrial property performance over the long-term."